Shannon Horch is my Heroine! Many, many thanks to Shannon Horch for the wonderful banner she's designed for the Blog... hope you love it as much as I do... she did a great job of capturing just what Viva Las Vegastamps! is all about. Let's hear it for Shannon you VLVS! junkies! When Google took over the blog thingie, I couldn't figure out how to get back on and update my blogs but now I have and will post regularly about all the happenings at Viva Las Vegastamps! 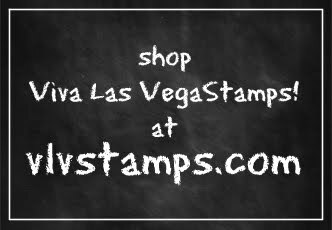 We now have over 15,000 images, we have a nifty new shopping cart that has taken untold months of labor, we're now the ONLY Rubber Stamp store in Las Vegas (there used to be six) and certainly a highlight of any stamper's or scrapper's visit to Las Vegas.